Mexico's President-elect Andres Manuel Lopez Obrador, a stickler for austerity who has vowed to fly only commercial, spent three hours stuck on a grounded plane because of bad weather, Mexican media reported Thursday. The anti-establishment leftist, who won Mexico's July elections in a landslide, was trying to return from the southern city of Huatulco on Wednesday evening, but bad weather in Mexico City, his destination, prevented his Viva Aerobus airlines flight from taking off. He and the other passengers spent nearly three hours on the grounded plane, then were asked to go back to the terminal, where they waited another hour before the flight was finally able to leave, according to media reports. Official flights can also be delayed by bad weather -- like the rain storm in Mexico City on Wednesday night -- but they have priority to land when the weather clears. 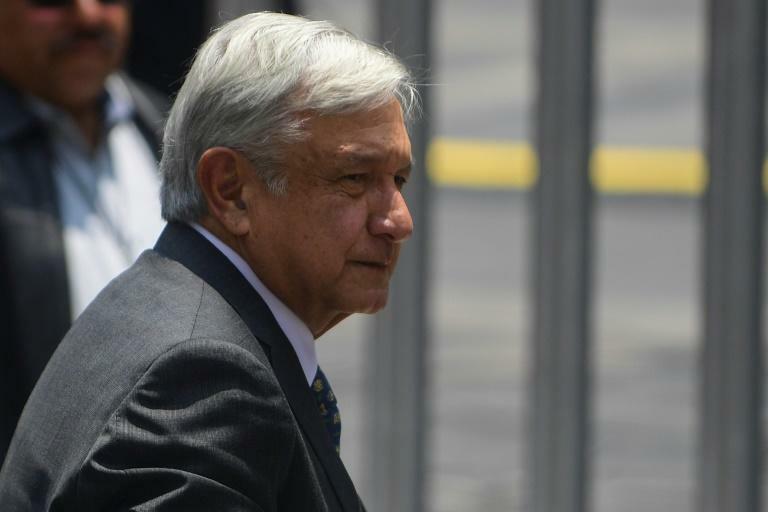 Despite losing four hours waiting for a one-hour flight, Lopez Obrador insisted he will go ahead with his plan to sell the costly presidential jet. "I'm not going to change my mind because of this. I'm never getting on the presidential plane," he told journalists at the airport. "I'd die of shame to use such a luxurious plane in a country with so much poverty." Lopez Obrador, widely known by his initials, "AMLO", has been criss-crossing the country in a post-election "thank-you tour." He won the election on an anti-corruption platform, and has vowed to shun the privileges long enjoyed by what he calls Mexico's "mafia of power" when he takes office on December 1. He plans to live in his modest home rather than the presidential palace, cut the presidential salary by more than half, and set that as the maximum pay for all public officials. Lopez Obrador, 64, is fond of bashing the presidential jet, saying "not even Donald Trump has one like it." The 300-seat Boeing Dreamliner 787, in use since 2016, is valued at $220 million, according to Reforma. In August, Lopez Obrador received an offer from a Mexican businessman to buy it for $99 million and use it as a high-end air taxi to the tune of $20,000 an hour.